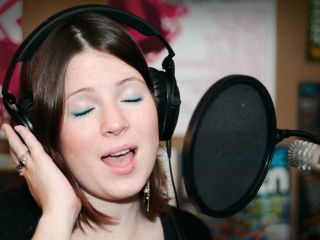 You'll reap the rewards if you pay close attention to your vocals. The devil, as they say, is in the detail, and this old idiom certainly rings true in the world of music production. A rough idea can quickly become a stack of recorded parts, which can then be arranged into a song, but if you want that song to sound truly professional, you'll need to pay attention to its finer points. It's the oldest tip in the book, but no less real or important because of it: always keep listening. Very few of us produce music bearing absolutely no relation to an established genre, so listen to tracks that share stylistic traits with your own and learn from them. What's the balance between the drum samples, or the length of feedback on that delayed lead sound? While there are no hard and fast rules about mixing, if your mix balances its elements in a way that seems wildly different to other tracks, you risk losing listeners. No amount of compression at the tracking and mixing stages will perfectly balance a vocal - you'll need plenty of automated volume rides, too. Approach this on a word by word, phrase by phrase basis to make sure that each syllable is loud enough, without sticking out too much. Another vocal favourite is the delay spin, whereby an echo is set up on an auxiliary with the feed to that bus automated. By doing this, individual words can be sent to the delay, but be careful to make sure the results sound natural. Watch for two things: the level of the delays and the amount of feedback. When you first start producing music, the temptation is to whack effects onto instruments or tracks in any old order, but it doesn't take long to realise that different chains of plug-ins result in different sounds. It's easy to add a reverb to your track, then decide that you need to compress the sound… but do you really want the compressor after the reverb? This is a tip for those who regularly work on headphones. Be bolder with your pan placements! Because headphones don't 'bleed' a left-hand signal into the right ear like speakers do, even subtle pan moves seem huge on headphones. However, check your mixes back on speakers and those small pan changes won't even be noticed. Spread those sounds out! Do you know why there are so many different plug-in EQs available? Because they all sound different. The idea of being able to lift or drop the volume of a group of frequencies is common to them all, of course, but each and every one does that job in a slightly different way. If you're looking to achieve a particular effect, but can't get it quite right, try doing the same thing with another EQ. The same goes for compressors. Some compression models change a sound so much that they almost work more like EQs than dynamics controllers. If you make hip-hop in particular, the contour and sound of your beats will be hugely influenced by the compression choices you make, so check out all options before committing. One of the biggest problems with vocals is that applying treble boost with your favourite EQ also tends to crank up the unpleasant sibilant sounds that tend to be a feature of vocal parts. Be very specific with your top-end frequency boosts and, if necessary, employ a de-esser, or alternatively be ready to ride the volumes of any offending sections of audio. Also on a vocal tip, watch out for recordings in which your singer has inadvertently tapped the mic stand, or got too close to your pop shield. Plosive moments sound a bit like beatboxed kick drums, but they can ruin a mix by adding bass and sub-bass that shouldn't be there. EQ can help, but so can old-fashioned waveform gain edits - scoop those moments down by a few dB and they should no longer be a problem. If you're at the mixing stage and you're looking for interesting ways to effect transitions between sections of your track, try some wild sound design. We've all heard white noise effects a million times, but that's because they work very well. On the other hand, try strange, backwards noises, fills from junk percussion kits or have a go at running one of your instruments through a weird effects chain. Anything goes! For more ways to add detail to your mixes, check out the June issue of Computer Music (CM139) which is on sale now.